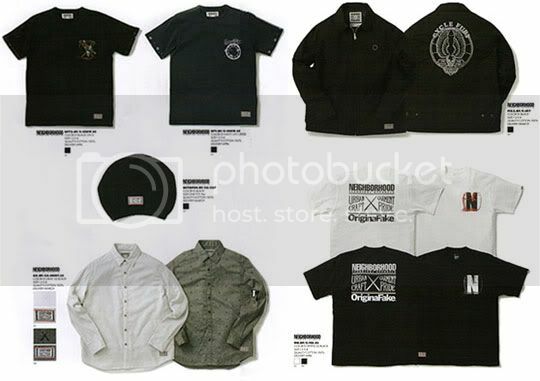 Original Fake and Neighborhood collaborated several times over the past few years for various special occasions, but in 2009 they put together a mini collection that included shirts, jeans and even neckties. The logo that was used for the collection featured both brands' logos joined by the Kaws chompers and X, and the Neighborhood slogan. 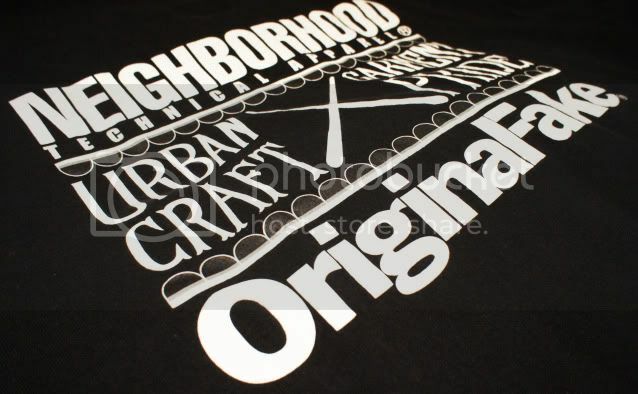 This logo was used on the collection's tags as well as on the back of one of the shirts. Take a look at the shirt and the mini collection after the jump. 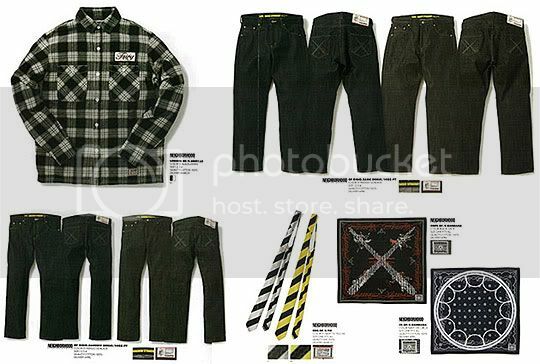 The collection included 2 versions of every item. One version was sold at Neighborhood stores, and a second version was sold at Original Fake. 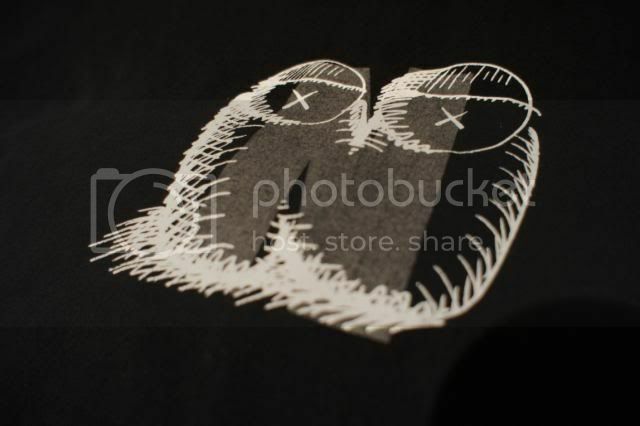 The Neighborhood version of the shirt had a 3M reflective N with a white printed Kaws N on top. The Original Fake version had the reverse- see the collection photos below for the Original Fake items.